The explosion of the meteor that flashed across central Arizona at about 4 a.m. this morning was recorded on our earthquake seismic network. The seismic record is from the Payson-Strawberry station. 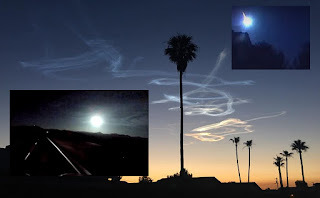 The American Meteor Society, a non-profit organization, is asking for anyone who witnessed the meteor or has photos or videos, to contact them - http://www.amsmeteors.org/2016/06/bright-fireball-over-arizona/.